ELLICOTT CITY, MD – June 19, 2018 – XPERTECHS is pleased to announce that Camden Partners has chosen them as their new managed IT provider. XPERTECHS will be managing all of Camden Partners’ IT needs through their Managed Services solution, XperCARE. Camden Partners is a principal investment firm specializing in direct and fund of funds investments. Sometimes you find what seems like a pretty good IT provider for your company, but over time things may change. Service delivery may go from great to bad, and before you know it you are having more technical issues than ever before. But, they don't seem to go away. Smartphones for most people are an integral part of daily life from personal matters to business. With the rise of security threats and cyberattacks targeting businesses, it’s important to ensure your organization staffs the right people to protect itself. Hiring a Virtual Chief Information Security Officer (vCISO) to create and oversee a security plan will put your company in a better position for both technology and business purposes in 2018. The vCISO is a person or a team that serves as a Chief Information Security Officer (CISO) but exists outside the organization. In recent weeks our support and security teams have seen an increase in sophisticated (and tricky) phishing scams aimed at Office 365 users. These phishing emails are well disguised and often pass through spam filters undetected. As recent as last week I received one of these messages in my inbox and decided to review the steps every user can take to defend their online identity from such an attempt. For over five years, Microsoft has been helping business increase their productivity with Office 365. Now, they are offering a new version of the industry leading cloud platform… Microsoft 365 Business. But what’s Microsoft 365 Business exactly? Microsoft 365 Business Edition is the latest productivity suite on the market, comprised of some of your favorite features from Office 365, Windows 10 and Enterprise Mobility & Security. If you’re running a business, you know how important it is to keep your information safe and private. 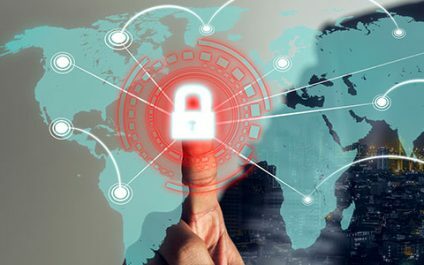 Whether it be physical data or electronic, responsible business owners don’t cut corners when it comes to safeguarding the information produced and stored by their company. Lately, we have noticed an increase in phishing scams coming to our clients' email inboxes and spam filters. With these attempted attacks on our customers, and the increase of security breaches in the news, we thought it would be a great time to review what you should be looking for in phishing emails. On Friday, August 25, Hurricane Harvey hit landfall on the Gulf Coast of Texas causing catastrophic flooding throughout the Houston and Corpus Christi areas. Thousands of homes and businesses were flooded and people stranded with almost nowhere to take shelter.